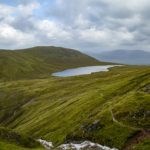 Join MIC certified mountain guide Ken Applegate on a unique guided ascent of the stunning Ben Nevis mountain via Tower Ridge! 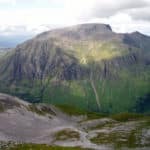 The UK’s highest mountain is the Ben Nevis and a must for climbers that want to know the region. It stands at 1,345 metres above sea level and is close to Fort William. Every year it attracts approximately 100,000 ascents! Tower Ridge is one of the possible routes to climb it, and perfect for those that want the challenge of a steep climb and an intense scramble. 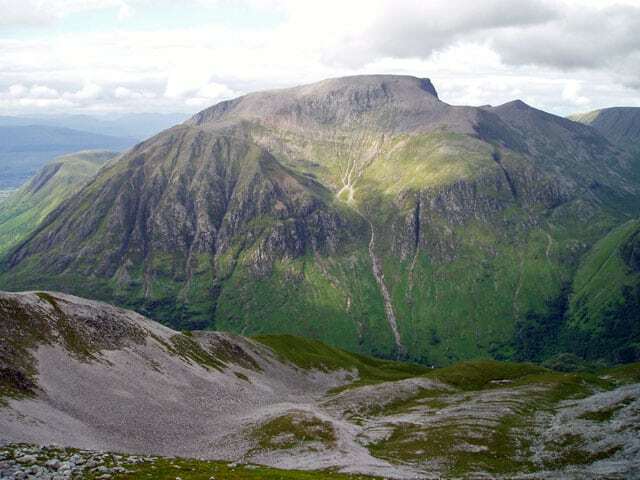 On this guided ascent of the Ben Nevis via Tower Ridge we help you to the top of this stunning spot so that you can make the best of this intense climbing experience! We begin by meeting early in the morning for a quick equipment check and to go over the day’s itinerary. We will also cover the techniques and safety measures you will need for the ascent. Then, we will set of for a 6-9 hour day in the mountain. Throughout the ascent, we will use a rope to ensure that you ascend safely and we will also coach you as we go along. As we go up, you will be able to enjoy the unique scenery of the Ben Nevis and surrounding region. Then, depending of how we are doing with time and how we are feeling, we might also be able to descend through the Ledge Route and CMD. As this is a challenging ascent, a good fitness level is necessary and some prior experience preferable. However, whether you have experience or are new to climbing we will be there every step of the way to make sure you feel safe. We will give you tips and instructions, and also help you out with the ropework. Are you ready to climb the UK’s tallest peak? 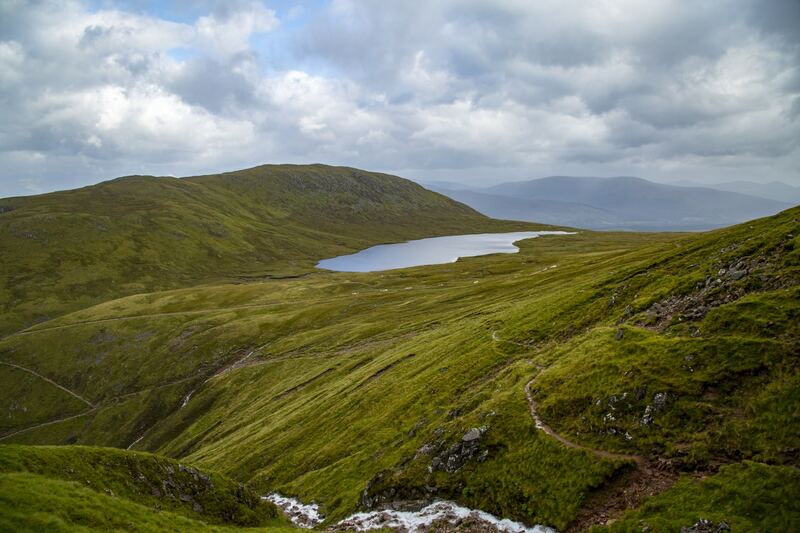 Then book your place now and join us on this guided ascent of the Ben Nevis via Tower Ridge! Want to try more climbs in the Scottish Highland’s region? Then join us on this guided ascent of the Curved Ridge! The price includes Guiding and Instruction and free use of harness and helmets. Accommodation is not included but we can help make arrangements or recommend suitable places to stay whilst visiting Fort William and the surrounding area. Socks –Go for a medium to thick pair of synthetic or wool/synthetic blend socks. Thermal/Base Layers –A thermal or wicking top is far better than cotton. Fleeces –At least one fleece layer for your upper body. If you get cold easily perhaps add a fleece gilet/vest to your layering. Having an extra fleece top or synthetic layer in a waterproof liner at the bottom of your rucksack is useful if cool conditions are likely to be encountered. Windshirt or lightweight softshell jacket –Ideal for dry conditions. Walking trousers –Polycotton, polyester or softshell is ideal. Warm Hat & Gloves –A warm hat can still be very useful even in summer. For Skye, leather work or gardening gloves, which are cheap and durable are ideal. Remember that even in the height of summer, with a bit of rain and wind, it will still be quite chilly. Waterproof jacket and over trousers ( Outer shell clothing) –The trousers should have at least a knee length zip enabling them to be fitted over boots. Lightweight waterproofs are ok.
Rucsac –A medium volume sac (30 -40 litres) is best for mountaineering. Use a strong plastic rucsac liner to keep the contents dry. External Rucsack covers have a habit of blowing away and don’t work as well as an internal liner. Everything needs to fit inside your sac. Bivvy Bag –A large person sized poly or foil survival bag is the minimum requirement, essential. Gaiters or Stop-tous –Useful, but not essential. Not really necessary on the Skye Cuillins. Head Torch –Even in summer it’s good practise to carry a small headtorch. First Aid kit –A small personal pack including medication for blisters. Suncream and sunglasses if good forecast. Harvey maps produce the best map for Skye. The map should be weather-proofed in a clear plastic map case or covered with clear sticky back plastic. Waterbottle –1 to 2 litres, maybe more during hot weather. Trekking Poles -These are optional, but useful particularly in descent. Boots –For scrambling, boots which have good lateral stiffness, such as B1 rated boots, are useful. Helmet –Please bring one along if you can. We have DMM helmets available. Harness –Please make sure the harness fits over all clothing and can be put on over boots and crampons. Adjustable leg-loops are preferable for ease of fitting. Belay device, two HMS Carabiners and one 120cm sling –We can provide you with these if you don’t have your own. 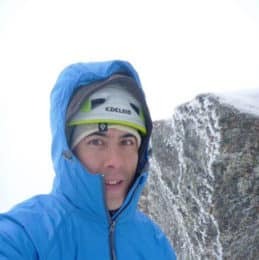 I gained a good insight into the instruction and guiding of mountaineering activities whilst working as a member of the domestic team at Glenmore Lodge in the summer of 2003. Since then, I have skied, climbed, trekked and mountaineered across the length and breadth of the UK, from Cornwall to the Orkney Isles, and overseas, having sought adventures in China, Mongolia, The Indian Himalayas, New Zealand, Japan, Southern Africa, The Swiss, Italian and French Alps, The Pyrenees, Southern Spain and Norway. I enjoy climbing in all it’s forms, whether it be bouldering at Fontainebleau, sport climbing at Rodellar, trad and winter climbing in the UK or alpine climbing in Switzerland. I have also put up a couple of new routes, Mint Sauce E1 5c in Glen Nevis and Feathered Friend V,5 on Creag Meagaidh. I have completed my Mountaineering Instructor Certificate (MIC), the highest instructional qualification in the UK, which enable me to work both in summer and winter conditions, whether it’s walking, mountaineering or climbing, and is a full member of both the Association or Mountaineering Instructors, and The Mountain Instructor’s Community. I have also completed my International Mountain Leader Summer Training and have worked as a contracted instructor for Abacus Mountain Guides, Martin Moran, Glenmore Lodge, Mountain Motion, West Coast Mountain Guides, Ardroy Outdoor Education Centre, Adventure Peaks, The Outward Bound Trust, Ryan Glass Mountaineering, Hike Pyrenees, World Challenge Expeditions and Outlook Expeditions.